We offer the best evidenced based practice to our patients. As general surgeons, we can offer a wide range of services to GPs and specialist assessment of all upper GI, hepatobiliary and pancreatic conditions. We also offer diagnostic and therapeutic endoscopy to private and public patients. We aim to communicate promptly, clearly and concisely with patients and referrers. We provide a full service to all public and private patients with ‘No gap’ options are available. As a relatively new practice, with access to regular public hospital operating lists, waiting lists are managed efficiently to avoid long waits. We welcome GPs to contact us should their patients deteriorate during surgical waiting times. I live close to the hospital and are available to our patients and new referrals at short notice, if required. Should you or your practice wish to arrange a educatonal event or seminar or get to know you visit, we would be happy to arrange this. Please use the contact us form or call (02) 8599-4360(02) 8599-4360, during office hours. Dr Gandy is happy to pass his personal contacts to general and hospital practitioners for in-hours or after-hour referrals. Please contact my consulting rooms for details or complete the urgent referrers contact form for a callback. If available, and he usually is, Dr Gandy is happy to accept emergency referrals to both the private and public hospital. Out of office hours this will often require admission via the emergency department. However, waiting times will be minimised by alerting the admitting officer to an expected arrival under a named consultant. 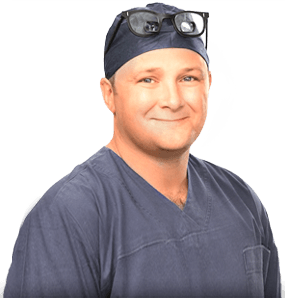 Dr Gandy also participates in the acute care surgery programme, which provides onsite specialist cover to all emergency surgical admissions.